Though nyc may be the epitome of lashing out some of the best sample sales, los angeles occasionally comes pretty close. Rock&Republic will have clothing from 50%-80% off... located at Sony Studios, Stage 14. 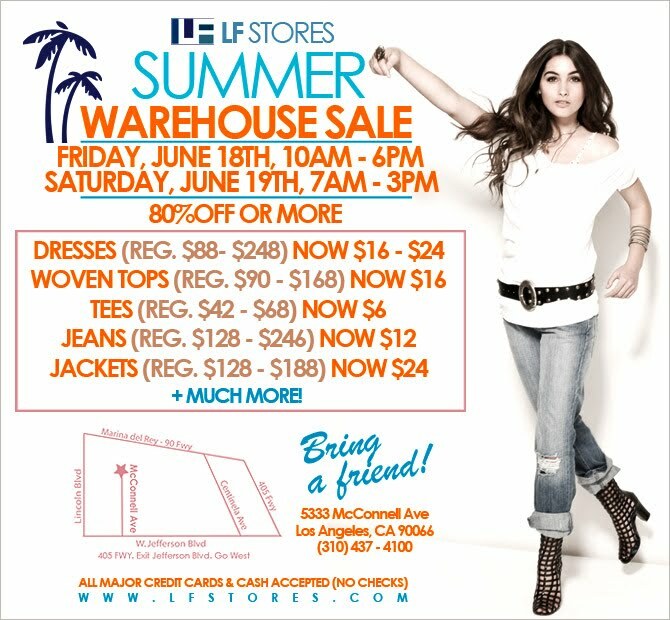 Ever since I discovered that LF has warehouse sales, I haven't missed one yet. One of the endless perks of summer.